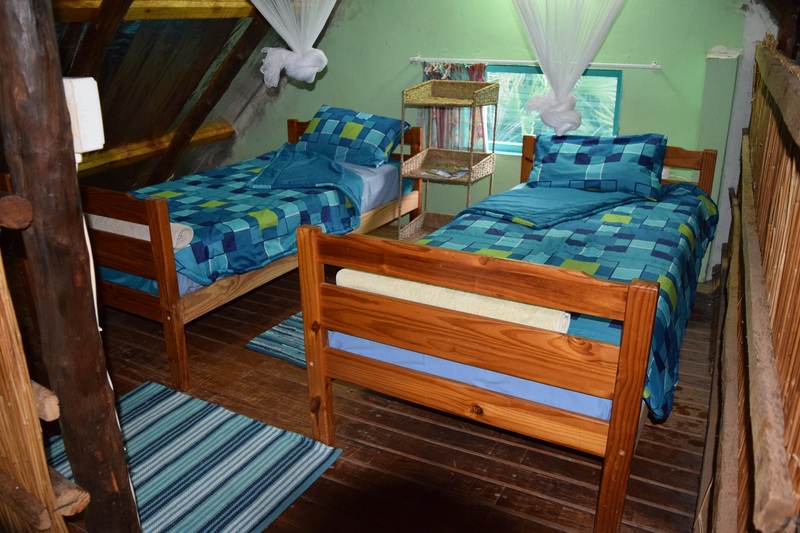 2 single beds in the loft (ideal for kids) (sleeps 2). 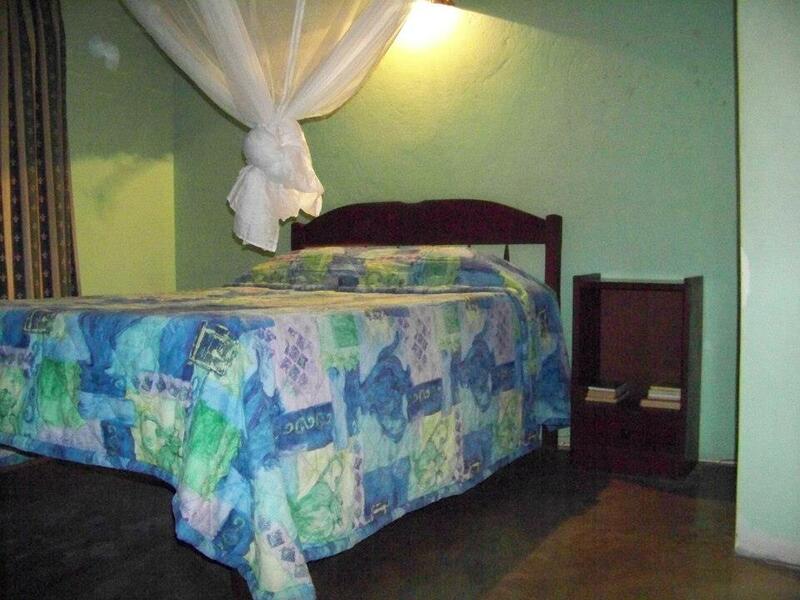 Mosquito nets for the beds and linen, except towels. 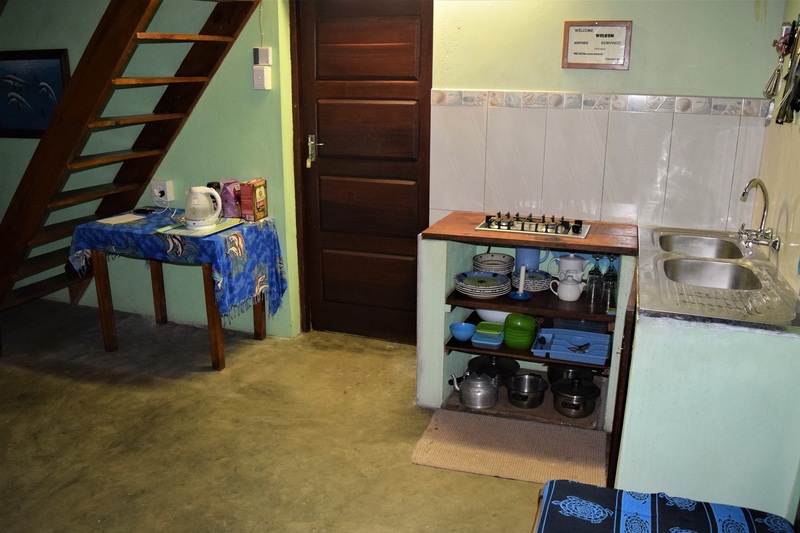 A kitchenette with the basic facilities for self-catering, including a 2 plate gas stove and combined fridge/freezer. Cutlery and Crockery to accommodate 4 guests. A shower, toilet and basin, with entry from the main bedroom. A covered veranda overlooking the ocean. 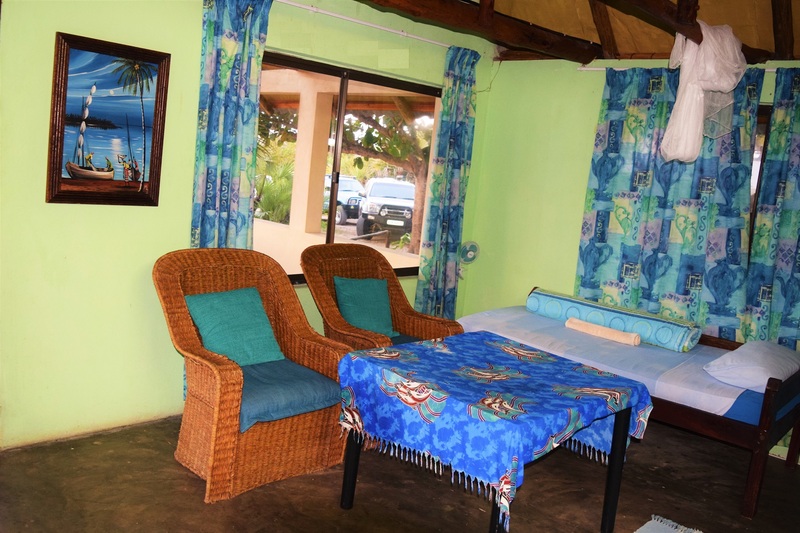 With Casa Quentin and Gideon close together, Casa Leneé is ideal for groups of up to 18 people. In-season corresponds with the South African school holidays and long weekends.